Connecticut Poker – Is Online Poker Legal in Connecticut? Connecticut is one of the best states for poker players in general. There are plenty of legal options – and a few not so legal options as far as offshore poker sites go. From a legal poker standpoint, this state known for big-time poker tournaments and cash games at tribal-owned casinos, Foxwoods and Mohegan Sun. You can keep plenty busy with these two casinos – and there are plans to build another one. Oh, and chances are you’ve seen their World Poker Tour (WPT) tournaments on ESPN or Fox Sports Network. The bottom line is this – Connecticut is arguably one of the bigger and better poker states on the East Coast, only second to (maybe) New Jersey. However, their stance on online poker has always been controversial, especially since most of the tribal leaders operating the casinos here lobby extensively to keep online poker at bay. As it currently stands, online poker is illegal in Connecticut. And this is one of the few states that include players (YOU) in their statutes. Transmission of Gambling Information: Any person who knowingly transmits or receives gambling information by telephone, telegraph, radio, semaphore or other means, or knowingly installs or maintains equipment for the transmission or receipt of gambling information, shall be guilty of a class A misdemeanor. My guess – that’s what makes online poker illegal. Worse yet, you can actually be held responsible instead of just the operators. That’s my interpretation, at least. 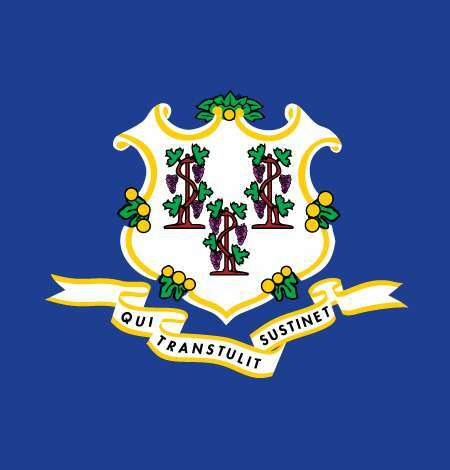 I also noticed during my research that the Department of Consumer Protection of Connecticut said the state does not authorize, license, permit or regulate any online gambling. Take that for what you will. That said, though, offshore operators continue to accept customers from Connecticut. So you can play online, just understand there are risks in doing so. Not only is it illegal for both operators, processors (handling payments violates the UIGEA) and players, but there’s no licensing or regulation. You’ll have very little, if any legal recourse if things go wrong. You can limit these risks, though, by doing your due diligence beforehand and finding the top (offshore) poker sites for Americans. Live poker is alive and well and has thrived for a long time in this state. Foxwoods and Mohegan Sun are home to some of the best poker players in the United States and abroad. Chances are you’ve seen a lot of these poker players on TV in big-time WPT and WSOP Circuit events. Both casinos offer daily cash games, sit and go’s and multi-table tournaments. They offer Holdem, Omaha, Stud and more. You can also play online for free money. And from the sounds of it, the state and Indian tribes are in talks to build out a 3rd casino. So while you may not be able to play online poker legally, you don’t have much to complain about – there’s a ton of live action here. In fact, tournament prizepools routinely exceed 6 and 7 figures at certain series’ here, with cash games also ballooning to stakes as high as $200/$400 and $400/$800. 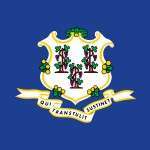 Like most states home poker games – or social poker games – are perfectly fine in Connecticut. You just have to go about it the right way. The key thing you have to know is that you can’t profit from the game outside of what you win playing. In other words – it’s perfectly fine to play for real money. There’s no problem taking your buddy’s bankroll winning a race with J5o to his AA. This is perfectly fine (and kind of funny). But you can’t charge your buddies to enter your tournament. It’s illegal to take a percentage (rake) of each cash game hand. Follow those rules and you should be okay. Free tournaments that bars and restaurants hold are apparently a grey area for now. However, there’s been effort to include them in the state’s laws. Poker is not allowed for charity events, though, and there’s no foreseeable changes planned for the future. For online poker players? Not so good. It doesn’t look like Connecticut is any rush to regulate online gaming. There are no bills waiting to be signed and the tribal nations there will make it very difficult for the state Senate to see any laws on online poker get too far. According to other portals (from webmasters I deem more savvy than myself), it’s suggested we won’t see anything from them (in terms of online legislation) until 2018-2020. Chances are if it doesn’t happen then the state might have to wait until federal legislation comes around. We’ll just have to wait and see, and Connecticut players will have to make do with what they have. Which is a lot more than other states, at least in terms of live poker action goes.